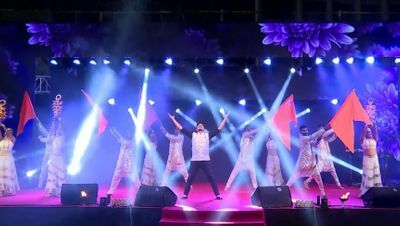 Kunal is a very talented choreographer and strongly recommended for wedding events and family functions. The Best you can get to make your events special. You guys are awesome. Lots of love. 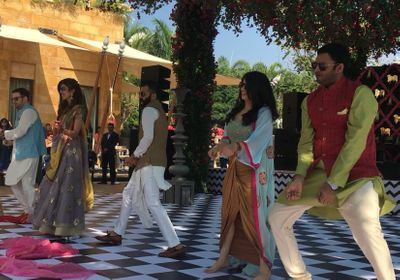 What is a wedding without any dance and music! 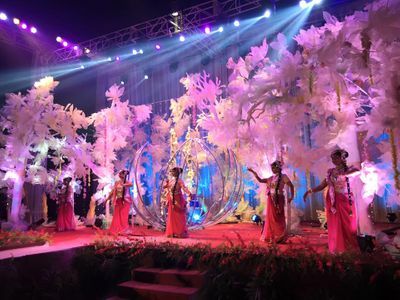 Wedding choreographers and sangeet choreographers form a vital part of the sangeet night. 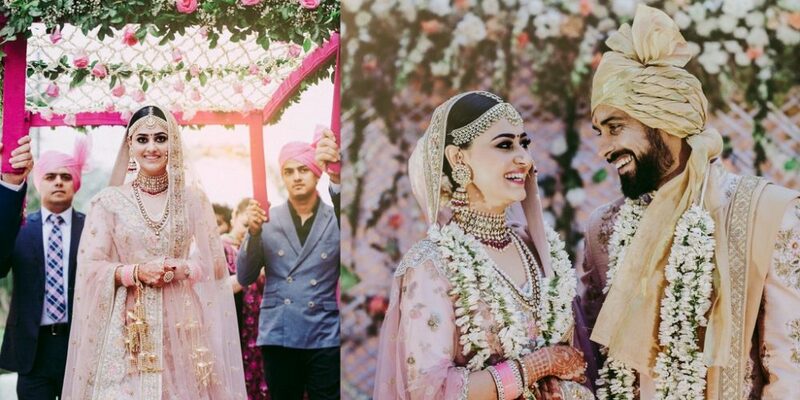 You can find the perfect sangeet songs that are trending, choreography ideas and the best wedding dances that have happened in the year on our blog. 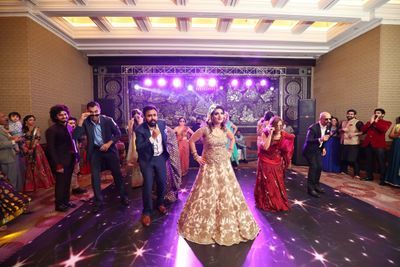 Right from prices to finalizing the best wedding choreographer for your wedding dance, we will be there to plan it all for you. You can browse through vendors and their ratings through a simple and hassle-free filter. 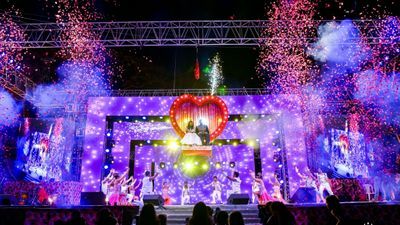 You can also draw inspiration for the bride and groom dance, ideas for the sangeet night, list of songs that you can do and a whole world of ideas right here! 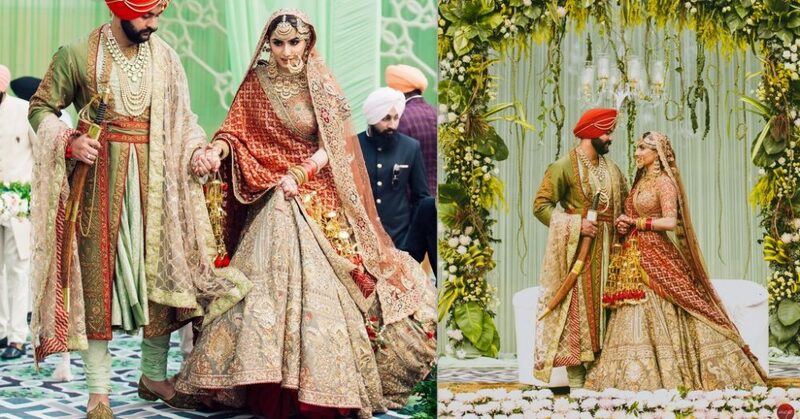 What are the first few things that comes to your mind when you think of Indian weddings? We know - large families, delicious food and a lot of dancing! 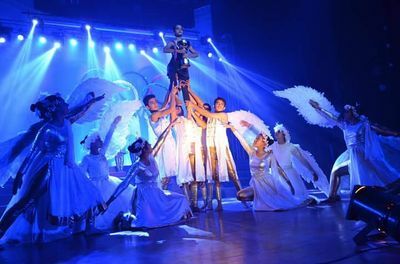 If you are planning to do things with a twist and perform with all your cousins and friends to a melody, then we are here to help you! 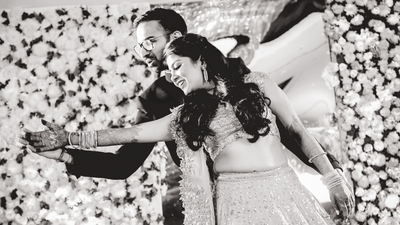 At WedMeGood, you can find sangeet choreographers in different cities of India who will make sure you shine with your dance performances through the wedding week! 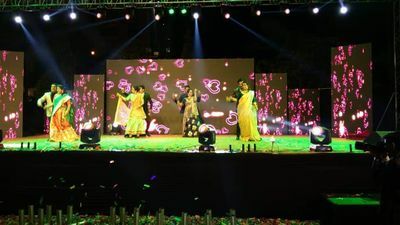 Choreographed dances on wedding are the best way to entertain your guests. 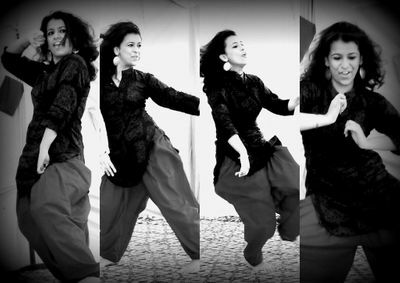 You can totally set the mood and surprise your guests with a choreographed routine. If you are thinking of a couple dance, taking dance classes before the wedding could be a great opportunity for you to bond with your partner! 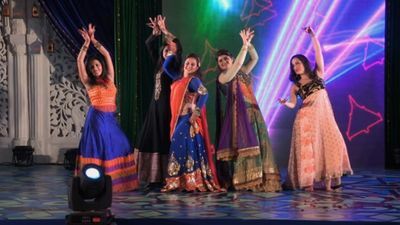 If you are planning to perform at the mehendi ceremony or for the ladies’ sangeet with your cousins, this would be a great time to spend with your family and friends, having fun and laughing throughout. 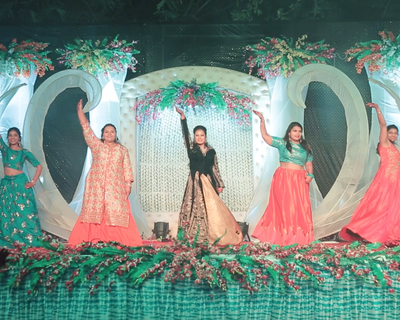 Choreographed performances will look good and add charm to your wedding. 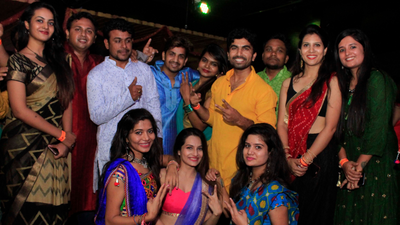 It will also help boost up your confidence and help you loosen up during the functions. What all functions can a choreographer help me with? 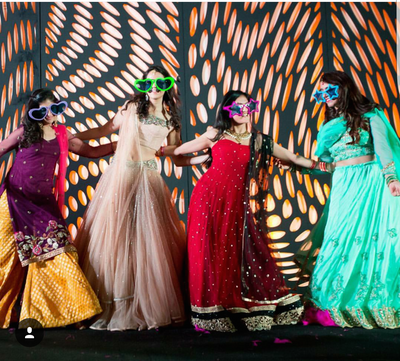 Bridesmaids dance - Get all your girls together and ask them to perform on that new punjabi number. 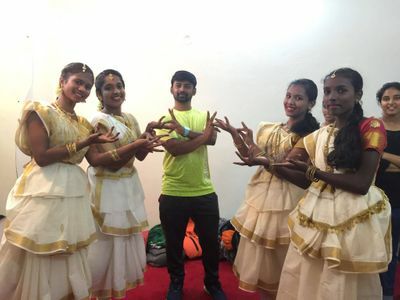 The choreographer will help, ofcourse! 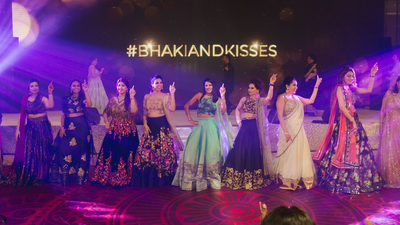 Bridal dance - A choreographer can help you with a solo bridal dance performance that you do at your engagement, or the reception. Couple dance - Create the best first impression with a choreographed performance with your partner at your reception! 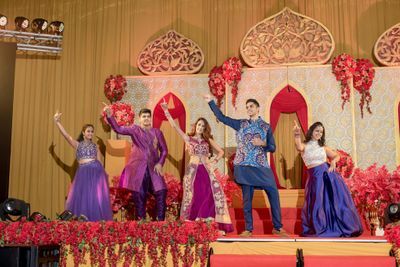 How to find sangeet choreographers on WedMeGood? 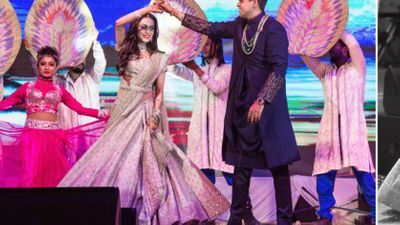 WedMeGood is India’s leading wedding planning app and we host information about a combination of wedding vendors who can bring your dream of a extravagant wedding come alive! 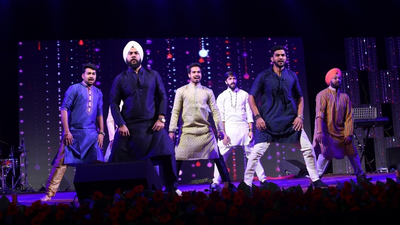 You can find some of the best and highly reviewed sangeet choreographers with the flick of a few buttons! 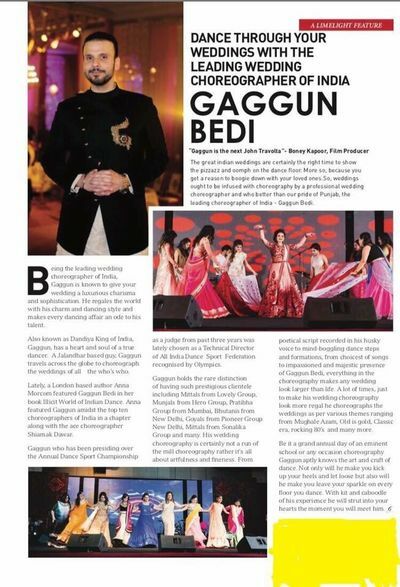 You can look at the profiles of about 300 sangeet choreographers from all over India, read reviews about them and look at pictures of their previous bookings to get some clarity. You can also avail an enhanced experience by using specific filters like city of your wedding, and the price range, amongst other things. And the best part - you can directly get in touch with your shortlisted vendors by the contact details available on their profiles, without any third-party intervention! Before making the final booking, as your shortlisted vendor to share their clips and samples of their previous work just to be sure of your decision and voila! You are sorted!